Powder Coating Houston – The powder coating process uses a solvent-free dry mix of plastic resins, pigments, and fillers that melt and fuse together when heated. The solid particles of coating are electrostatically charged in a spray gun and carried by low-velocity air to the surface of the piece to be coated. The electrostatic charge holds the powder particles in place while the part is cured in a 400-degree oven. The heat of the oven causes a chemical reaction to occur and the powder to cure, creating a highly durable finish. Powder coated surfaces are more resistant to chipping, scratching, fading, and wearing than other finishes. Color selection is virtually unlimited with high and low gloss, metallic, and clear finishes available. Colors stay bright and vibrant longer. Texture selections range from smooth surfaces to a wrinkled or matte finish, and rough textures designed for hiding surface imperfections. 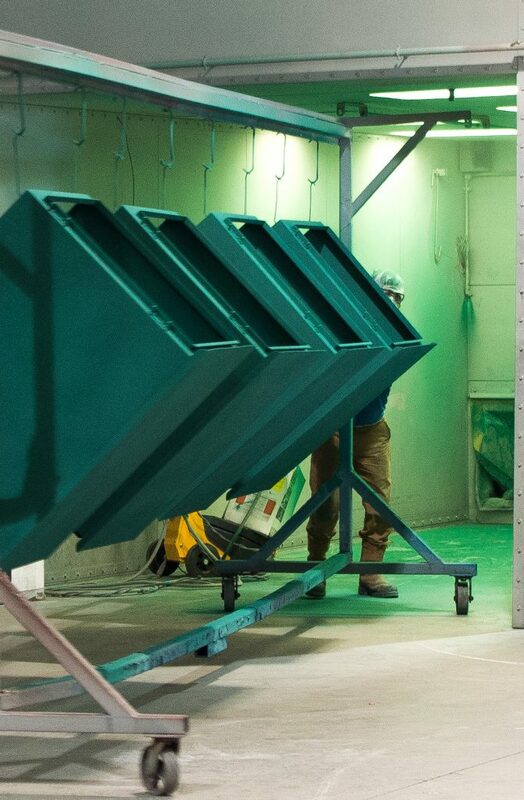 Powder Coating is an environmentally friendly process. No VOC emissions. 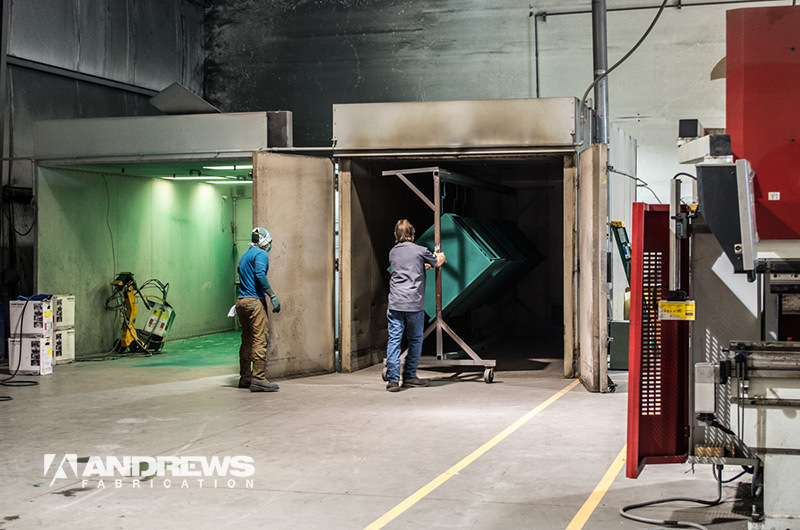 The energy intensive operations in the powder coating operation are drying and curing. Typical drying and curing operations are with the use of convection ovens. The use of convection heating can be very slow and very costly if the parts are large and heavy since the evaporation or curing will be dependent on the bulk temperature of the part. Essentially the whole part must be hot enough to cause the part surface to either dry or the powder coat to cure. Therefore, large volumes of air need to be heated and exhausted from the convection oven to effectively dry or cure the parts.